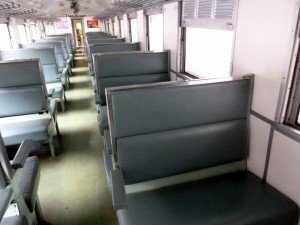 Train 172 from Hua Hin to Bangkok, Hua Lamphong station is an early morning, Rapid service, with a range of cheap seats and more expensive sleeping carriages. As most of the trains from Hua Hin to Bangkok leave in the early hours of the morning, you may want to consider alternative transport arrangements. If you want to travel on this service, the 3rd and 2nd class all seat carriages are the best ones to choose. 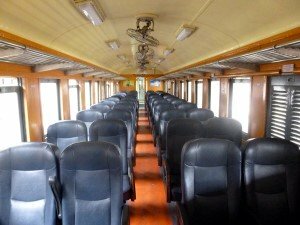 3rd class can get a bit crowded and people will be spread out all over the carriage trying to sleep at this time of the morning, so we would recommend paying a little extra and going for the 2nd class (reclining seat) carriage. The Day and Night carriages will all be made up into beds at this time of morning and not worth paying the extra for unless you want to lie down for a few hours. 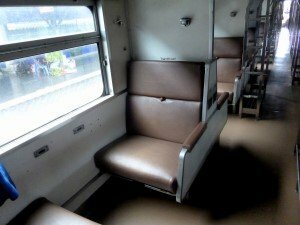 If you plan to travel 3rd class, you can buy your tickets on the day of travel. Any 2nd class tickets should be reserved in advance as trains on this route can often be fully booked. 1) Visiting any SRT railway station ticket counter / office and booking tickets in person.